Nearly two years of fevered speculation surrounding Special Counsel Robert Mueller’s Russia probe will come to a head in a dramatic television finale-like moment on Thursday morning at 9:30 a.m. 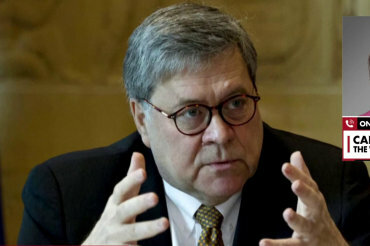 ET, when Attorney General Bill Barr and Deputy Attorney General Rod Rosenstein are set to stage a press conference to discuss the Mueller report’s imminent public release. White House lawyers held talks with U.S. Justice Department officials in recent days about the conclusions in Special Counsel Robert Mueller’s Russia report, aiding them in preparing for its release, the New York Times reported on Wednesday. An 18-year old University at Buffalo student died Wednesday after falling victim to a suspected hazing incident last week, his school’s president said in a statement. Police are looking for a suspect who pretended to be a driver from ridesharing company’s app who allegedly robbed a woman in her Maryland apartment at the end of March. 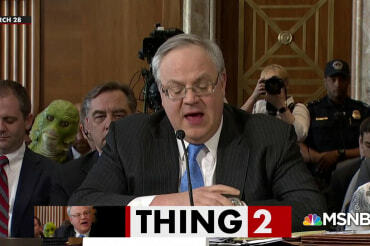 You'd think that after he finally drained the swamp of someone as conflicted as Ryan Zinke, President Trump would choose a squeaky clean replacement to head the Department of the Interior.